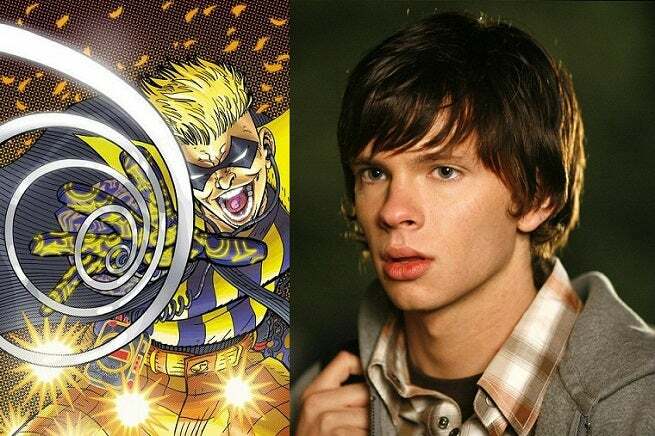 The CW has lined up Devon Graye, best known for his portrayal of the teenage Dexter Morgan on Dexter, to play opposite Grant Gustin and Mark Hamill in the upcoming seventeenth episode of The Flash, ComicBook.com has learned exclusively. Graye will play "Axel/Trickster," a young copycat of Mark Hamill's veteran, incarcerated con man James Jesse, also known as The Trickster. Axel is presumably Axel Walker, the second Trickster from the comics who was created during Geoff Johns' run. He took over for Jesse on the Rogues when Jesse had gone straight and was working with the FBI, stealing the original Trickster's costume and weapons and acquiring some new toys to go along with them. Based on the original reports, it's been speculated that it will be the emergence of Axel that drives Jesse to work with the authorities, in a kind of Hannibal Lecter capacity to help take down his imitator. “In this new iteration, The Trickster is an anarchist terrorist con man serving a life sentence in Iron Heights who helps Barry (Grant Gustin) and Det. West (Jesse L. Martin) to foil the city-wide attacks of a wannabe Trickster eagerly following in the original's deadly footsteps. The episode will reunite him with John Wesley Shipp who went up against him as the original 'Flash' on the CBS version." An exact airdate or title for episode seventeen isn't yet known. The Flash returns to The CW with new episodes on Tuesday at 8 p.m. ET/PT.